Jim is an award-winning artist who graduated from the Naval Academy and served two tours in Vietnam. He resides in the San Marco area in Jacksonville Florida with his wife Mimi who is also an artist. Jim works primarily in watercolor and acrylic. His work reflects his travels and especially love for Florida’s outdoor treasures. He set the criteria and managed the selection of endangered lands purchased for the State of Florida in the 70‘s. These include: The Big Cypress Preserve, Fakahatchee Strand, San Felasco Hammock, St. George Island, the Duval/Nassau marshes, Big Talbot, and Long Islands of the Timucuan Preserve. 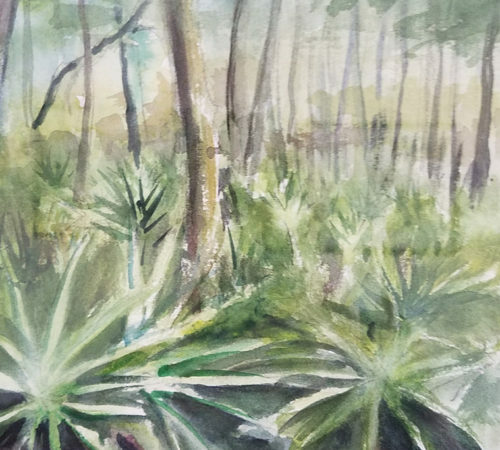 Jim’s style is representational or fanciful realism that captures the enduring beauty and strength of Florida’s natural, historical, and cultural elements. Jim is a former First Vice President of the Jacksonville Watercolor Society. 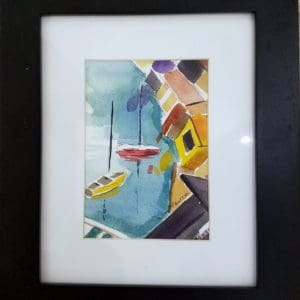 He is also a member of the Florida Watercolor Society, the Jacksonville Coalition for the Visual Arts, the St. Augustine Art Association, the Plein Aire Artists of St. Augustine, and the Jacksonville Artist Guild (JAG).